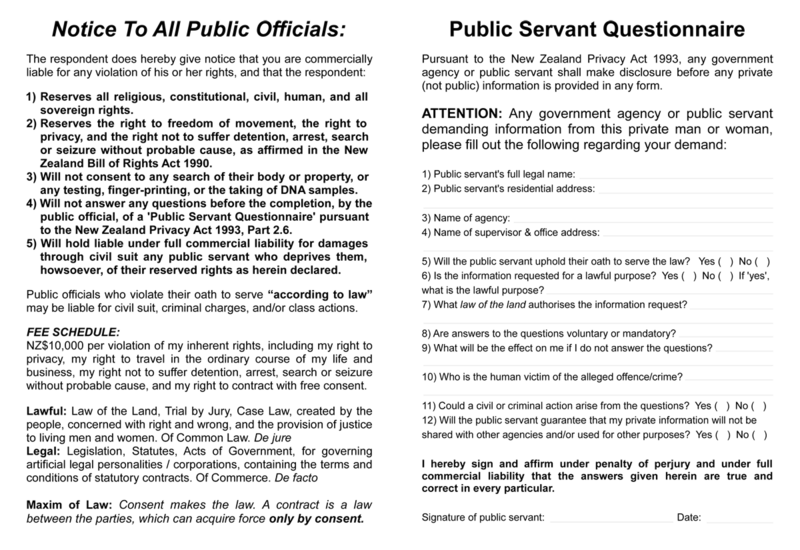 You can use this form to uphold your lawful rights when responding to any demand from a Public Servant. You can serve it to a Police Officer on the highway, a Customs Officer at an airport, or any Public Official who enters your private property to make a demand while you are living peacefully in the Common Law of the Land. Please remember to be polite when dealing with your Public Servants.